The original Logitech MX518 mouse was a classic that many gamers loved using. A gaming variant of the MX510, the MX518 was the mouse I used the most back in the day before mine broke. In fact, I still know a few folks that use them today even though it came out 15 years ago. It’s an iconic shape and one that really sold people that Logitech could make great gaming mice. For those hoping that Logitech would update the MX518, the time has come .The Logitech MX518 Legendary Gaming Mouse is here and it includes an upgraded sensor with that classic look and feel. I talked with Logitech a few days before my mouse arrived about how they got the MX518 to market quickly and they said that they just dusted off the original tooling, cleaned it up, and made some slight modifications for the new sensor. So the shape is exactly the same as it was 15 years ago. The color scheme is different with that glossy, sparkly grey that’s on the top, which I enjoy a lot more than what it originally was. It weighs 102g, which is 4g lighter than the original. As a gaming mouse today, the MX518 would seem a little lacking in features. There’s no RGB lighting, no LEDs, no interchangeable parts, no weights, nothing that we see in most modern gaming mice. It’s basically an 8 programmable button mouse that is pretty damn comfortable to hold and performance that will satisfy a lot of gamers. You have your two main mouse buttons at the top that have a very, very satisfying feeling and sounding click to it when pressed. In the middle are three programmable buttons along with a mouse wheel that can be programmed as well. 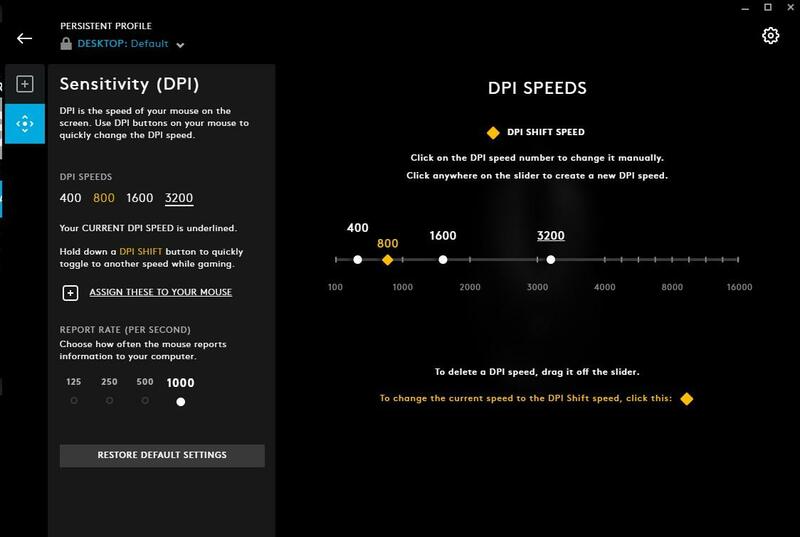 By default, they change the DPI setting so in the G Hub, you can set four levels of toggle for your DPI and one that the bottom button can switch to instantly. The wheel only scrolls up and down, no side scrolling here. To me, the wheel’s click when scrolled feels a little soft, but that could be something you might like. I prefer a more pronounced click when I turn a mouse wheel, but like I said, people are going to have their own preference on that part. Underneath, you’ll see the same feet design as it was in the original and the new sensor. It’s the HERO 16K sensor, you can expect capture rates of up to 17,000 times a second with a DPI range from 100 to 16,000. That’s great and all but how well does it work? A very long and thin USB cable connects the MX518 to your PC. The only thing I might have preferred here would be a braided cable and the USB connector to be of type USB-C. More and more PCs these days are including USB-C on their motherboards and I certainly can understand Logitech sticking with the USB-A connector because it’s suppose to be the same as the original mouse. Of course, I could just get an adapter should I want to plug it into my USB-C port, but this is a very, very small nitpick of mine. I started out just using the mouse in my everyday work of coding in Visual Studio 2017 and Photoshop. Moving around on the screen was smooth and accurate. 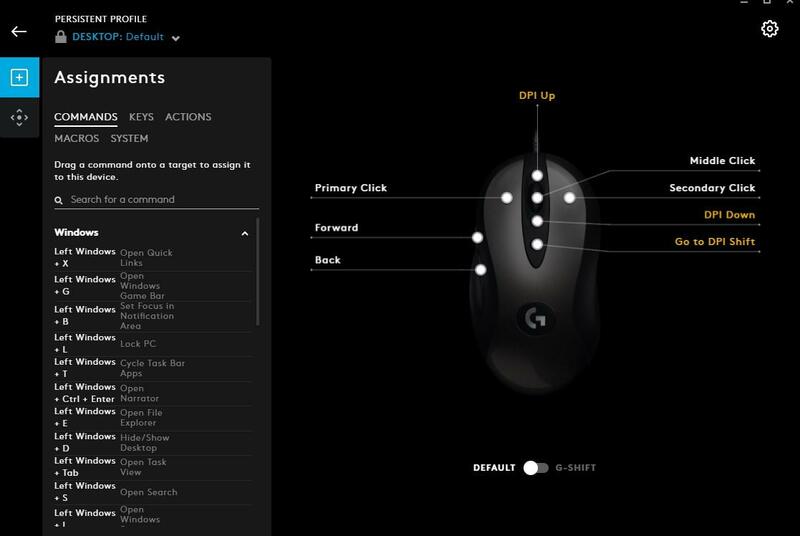 From small to large movements, the HERO 16K sensor performed solidly I setup a profile (5 can be saved on the mouse) to make the DPI switching buttons do more work centric functions. But gaming is what this mouse is tailored for and where shined. I decided to run through a large group of games ranging from first person shooters like Battlefield V and 7 Days to Die to strategy games like Railway Empire. The MX518 was a solid performer for both fast twitch game and slow moving ones. I am one of those that use a higher DPI and small movements and this mouse performed great in that situation. I was in control and was able to pull off many accurate shots with the MX518. With slower paced strategy games, I was able to maneuver around the map really easily and consistently. The MX518 was made for games and it does its job without any issues. I thought I was only going to switch to the MX518 for my review time, but I’m going to keep using this as my mouse of choice for work and play because the shape and performance is just that good. There’s no doubt that those that grew up with the MX518 will enjoy the MX518 Legendary edition. I asked Logitech what other mice has been heavily requested by the public for a new release and the G9X was mentioned. Hopefully if the MX518 Legendary sells well, we can see more classic mice being upgraded with today’s technology and if so, the G9X is a great candidate to be the next one to see a resurgence. The MX518 Legendary Gaming Mouse has been available in Asia, but it now has made it here in the United States. Coming in at $60, this gaming mouse won’t break the bank and features great performance and that awesome shape that many have come to know and love. For those looking at a no nonsense gaming mouse, the MX518 Legendary edition is a solid buy for your gaming needs. If you loved the MX518, you'll love the new iteration. It doesn't change anything other than the sensor and the performance is just amazing.